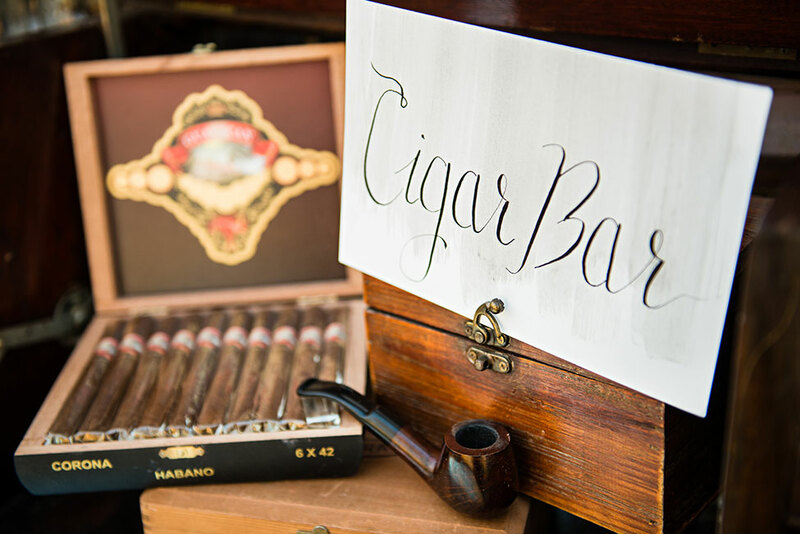 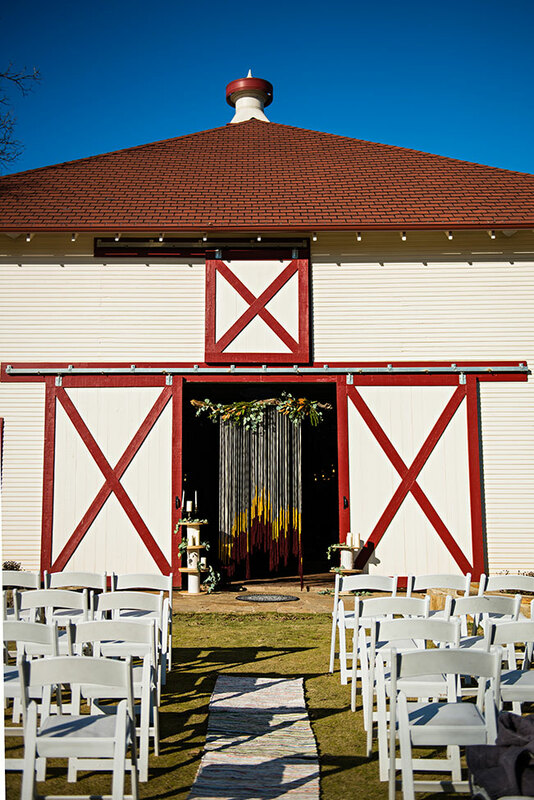 The thought of rustic anything is often seen as a one dimensional style. 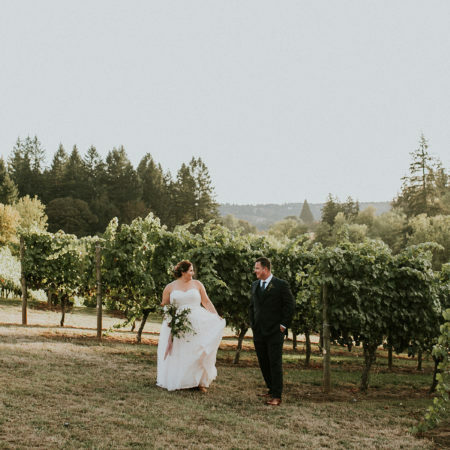 The utter beauty to today’s gorgeously styled shoot is how seamlessly the rustic setting of Howell Family Farms is transitioned into a sophisticated and chic fall wedding. 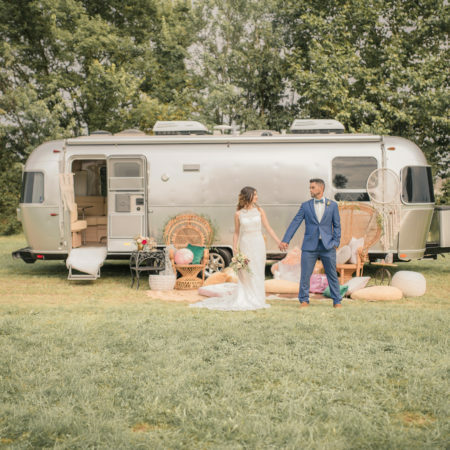 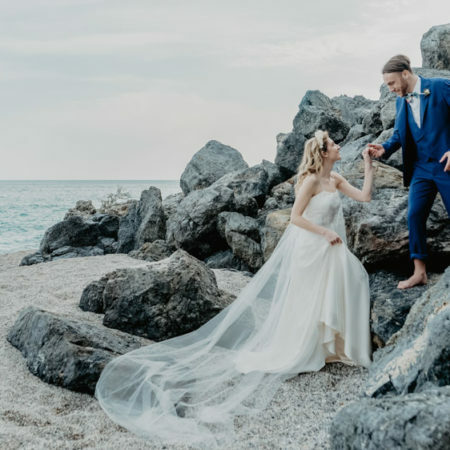 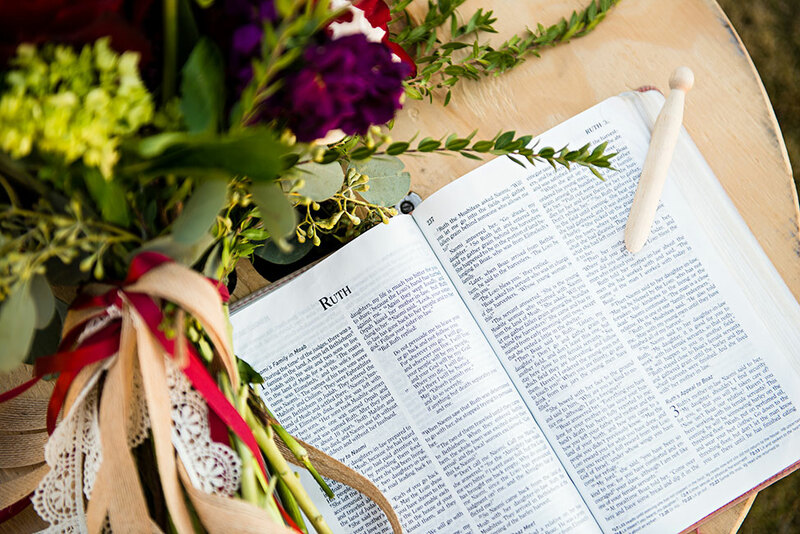 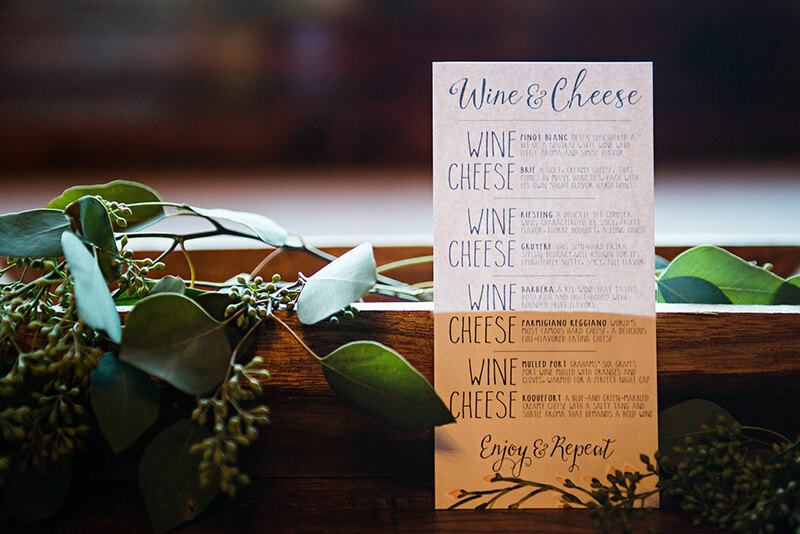 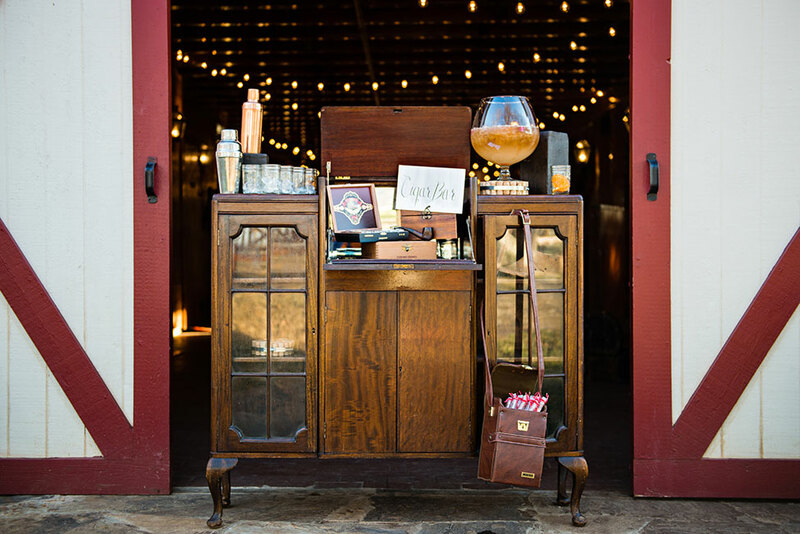 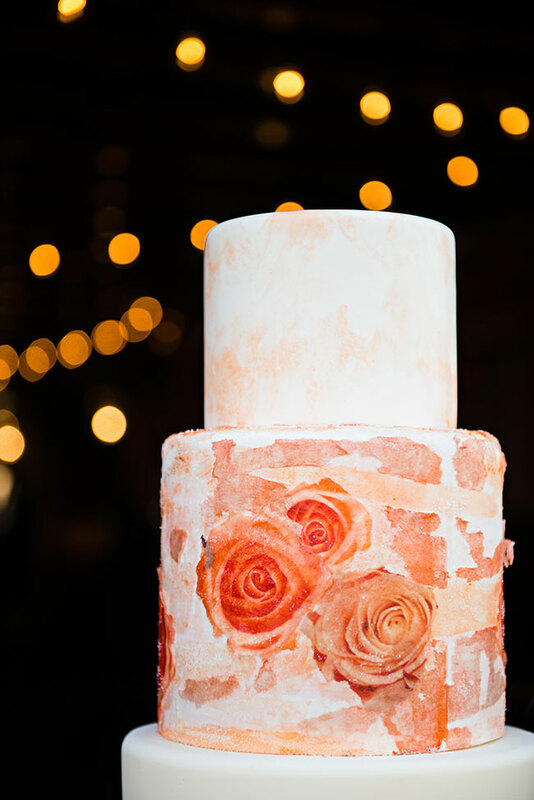 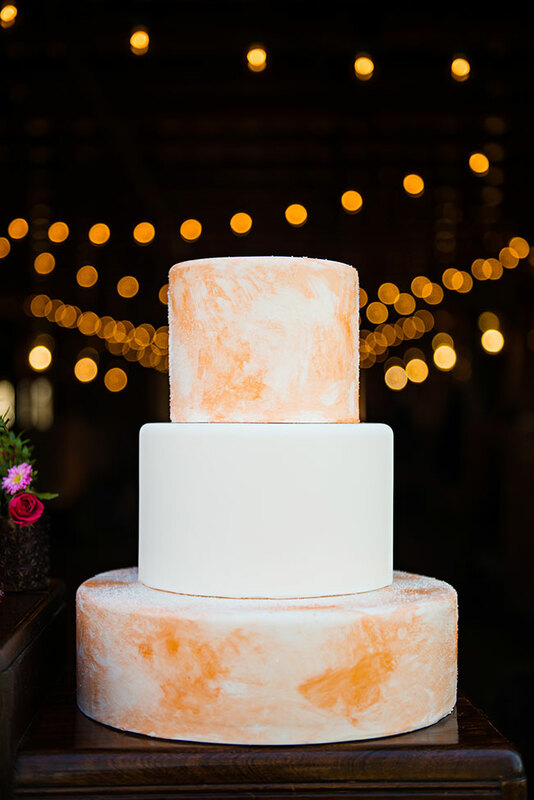 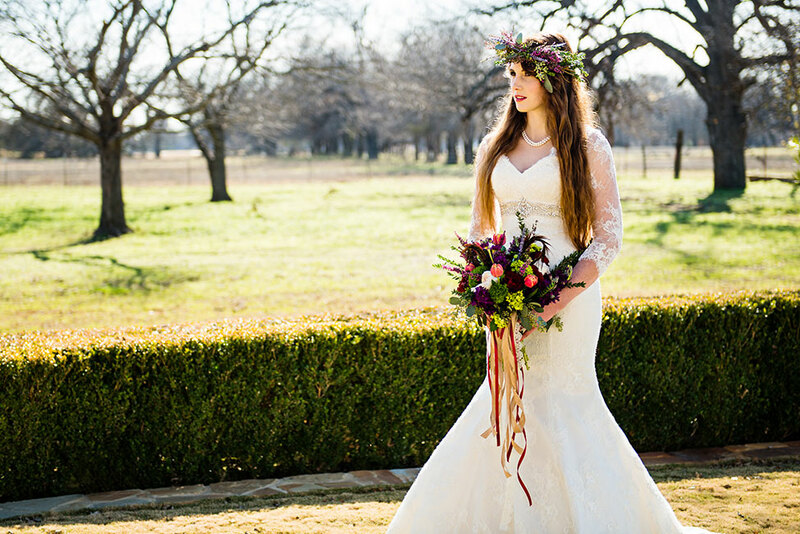 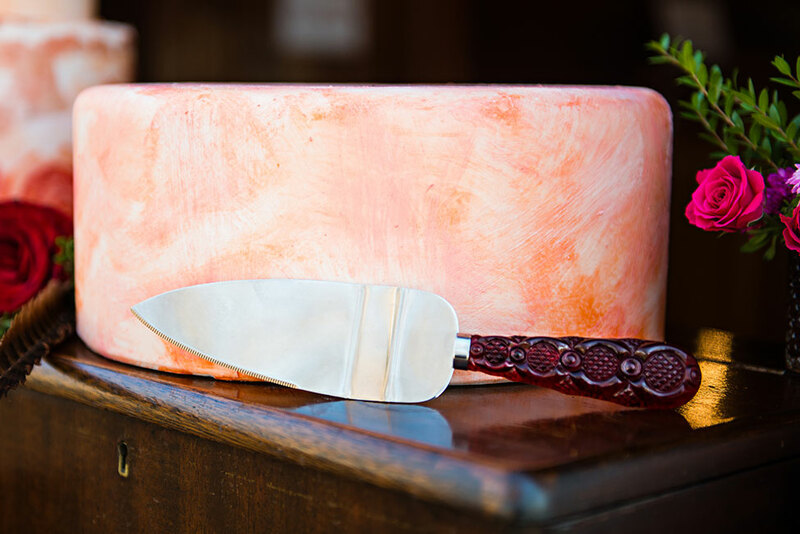 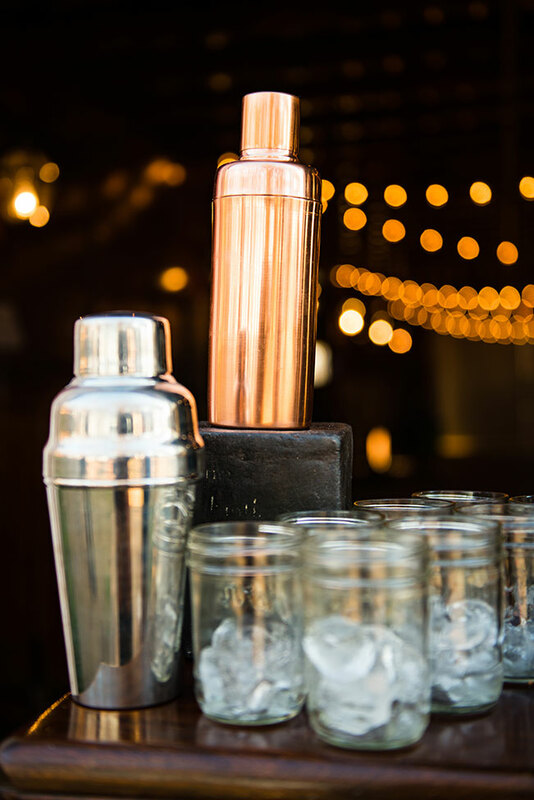 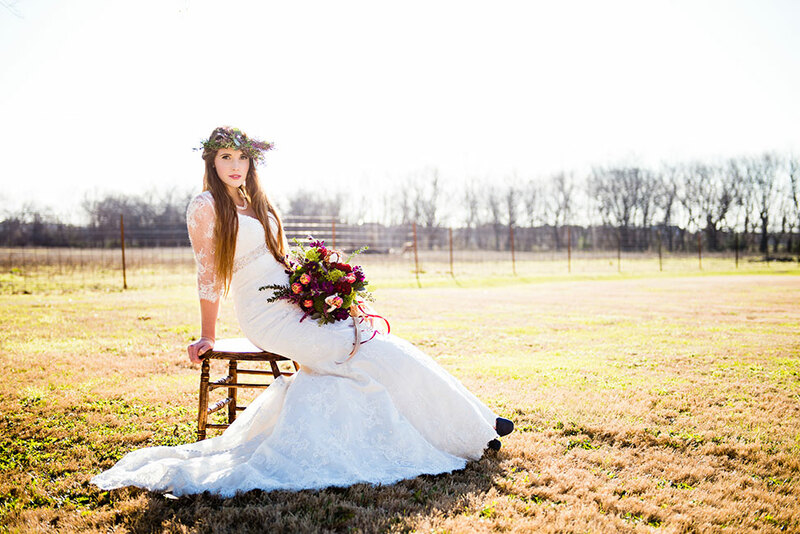 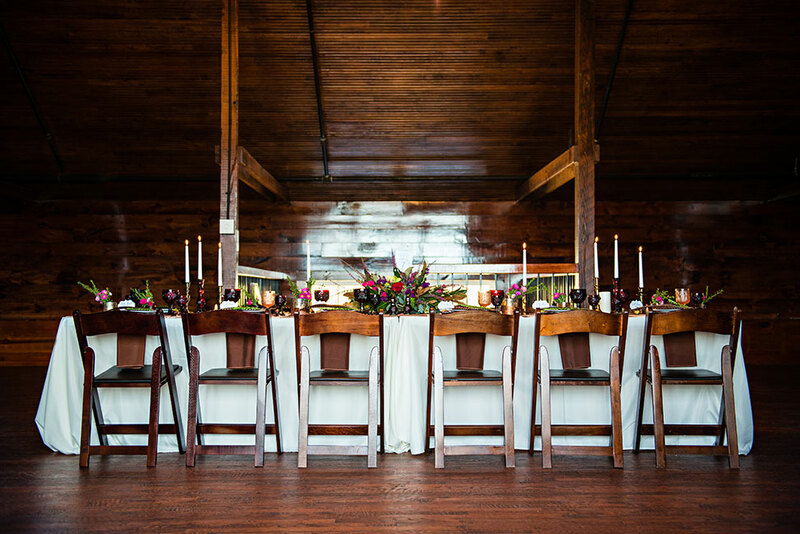 Under the artful eye of wedding photographer Photo La Vie, this fall wedding focuses on blending a rustic setting with chic design choices and approachable elevated causal flair. 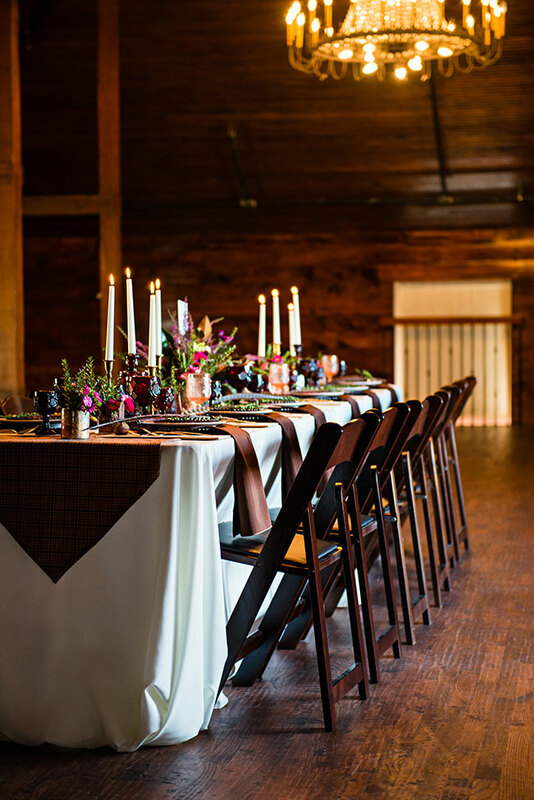 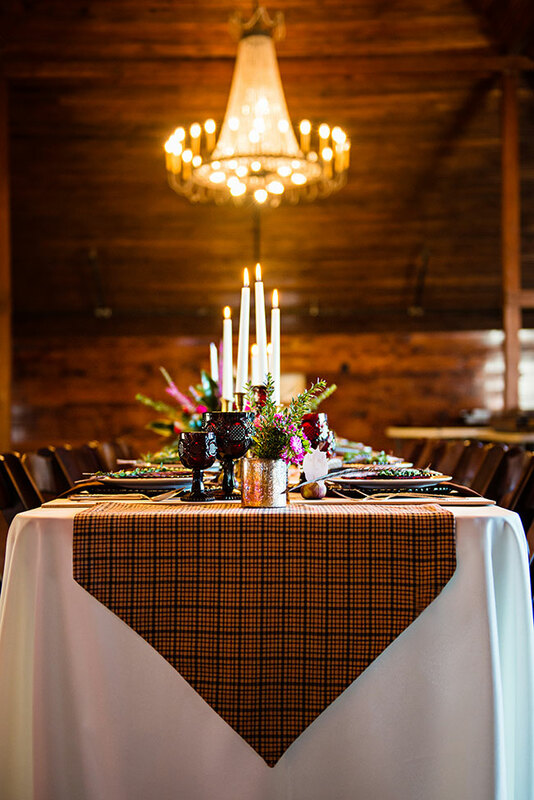 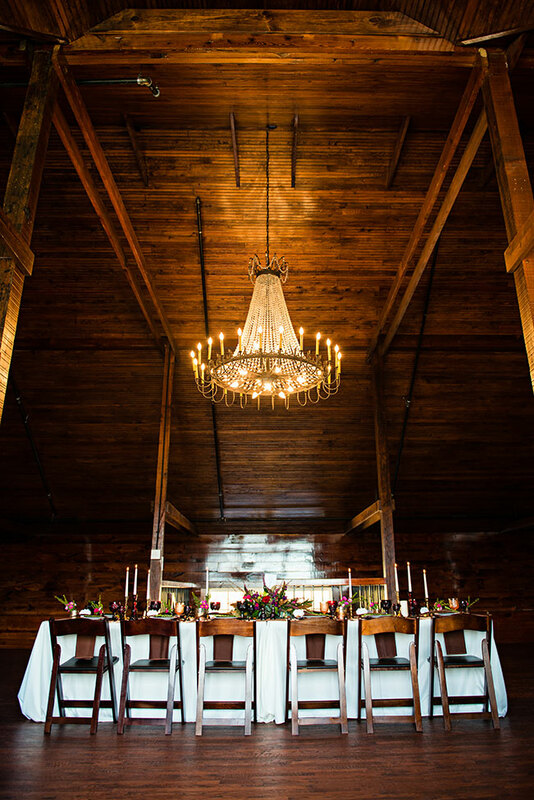 Long reception tables line the underneath of swaying crystal chandeliers, brought to life by the perfect fall wedding decor piece, a plaid table runner! 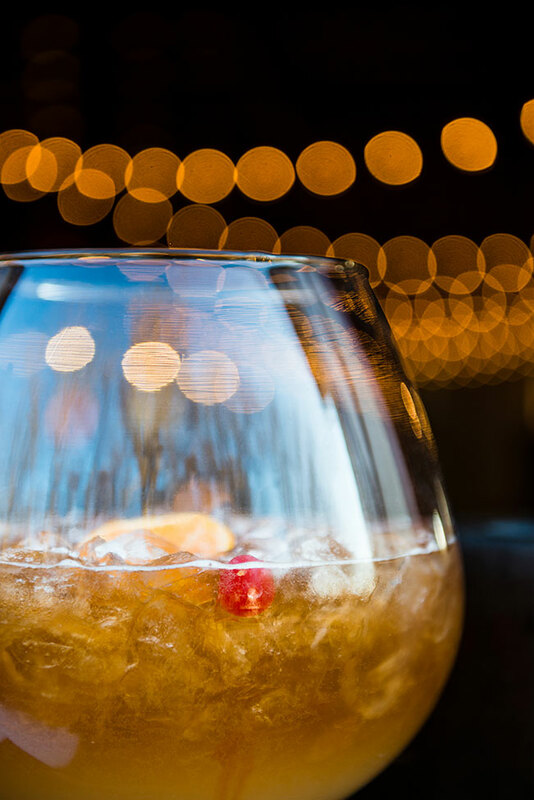 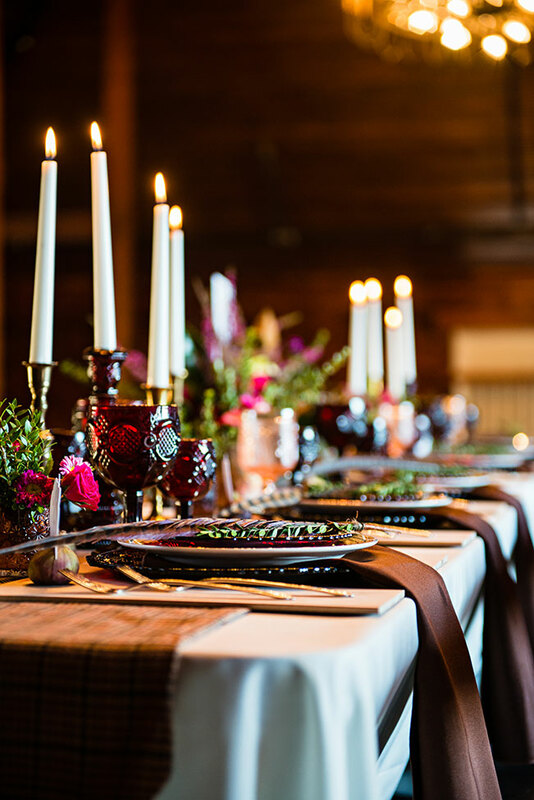 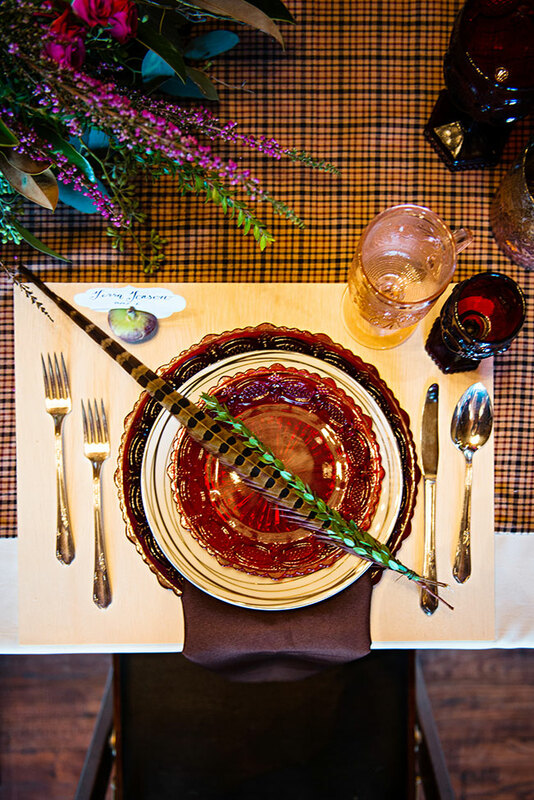 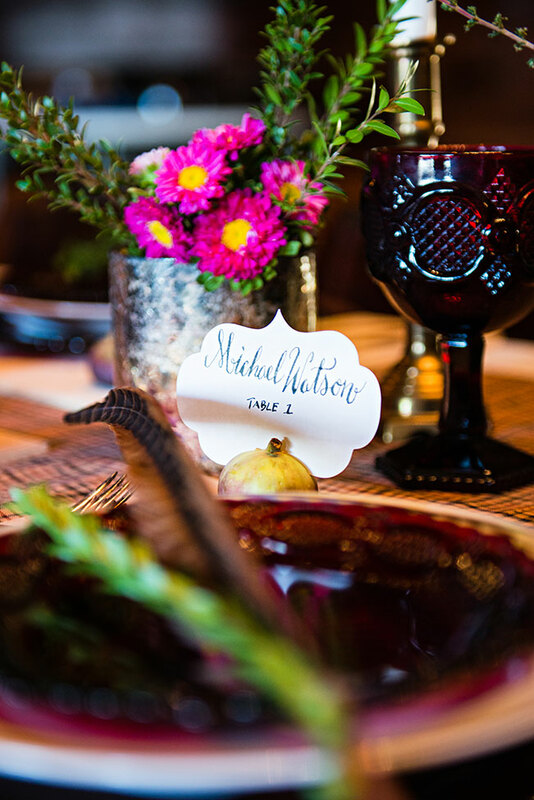 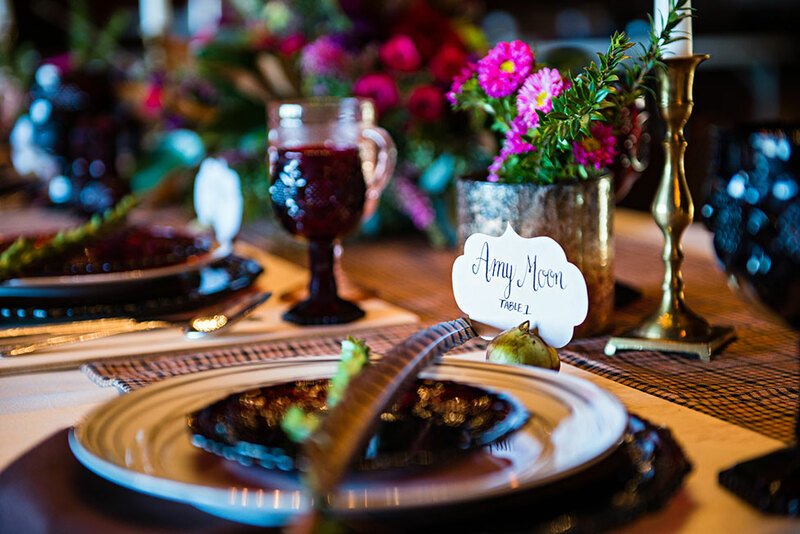 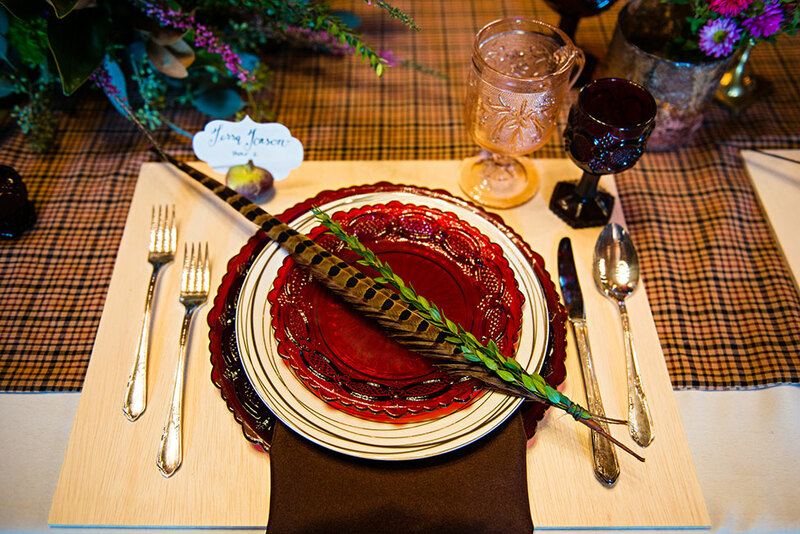 A mix of amber glass, in the form of chargers, plates and glassware are intermixed with more traditional pieces while statement pheasant feathers greet each place setting. 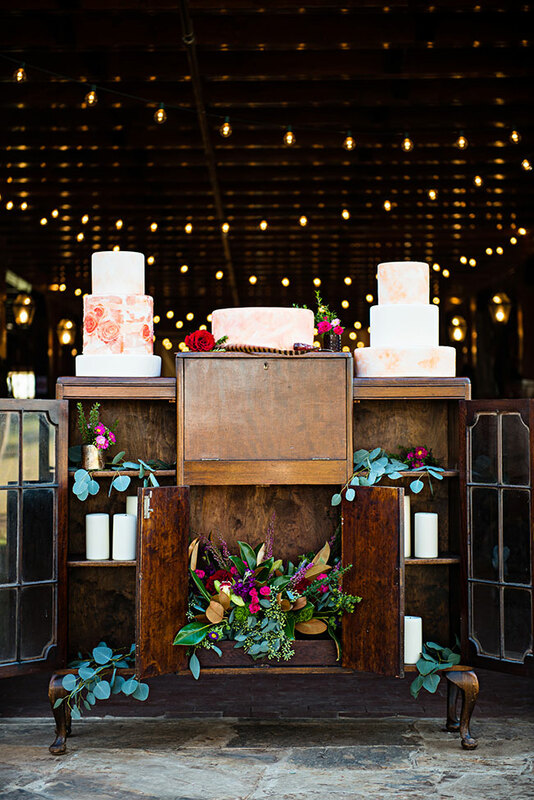 Keeping with the long lines created by the reception tables, florist Blossoms on the Bricks opted to work with blooms that elongated the tablescape, allowing flowers to dance out from the center of the table. 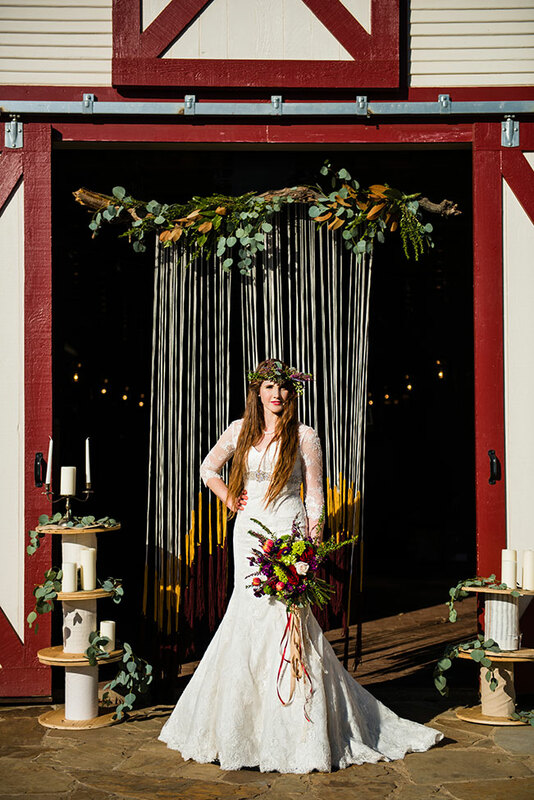 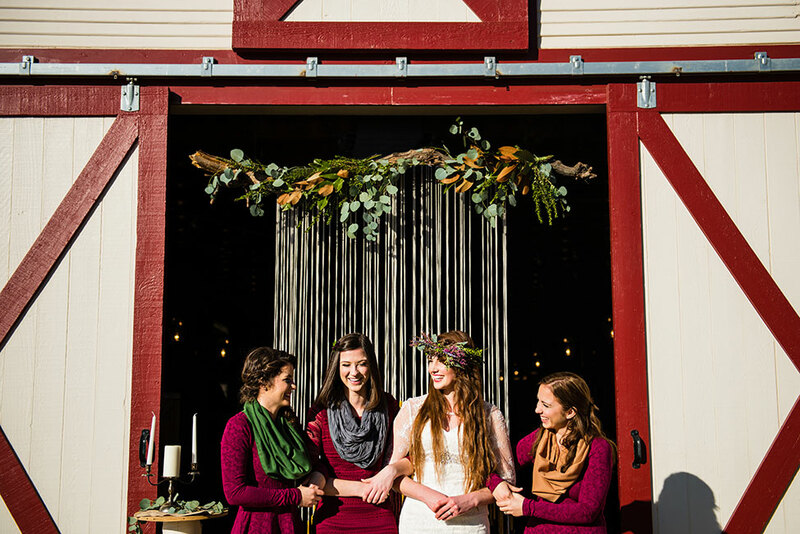 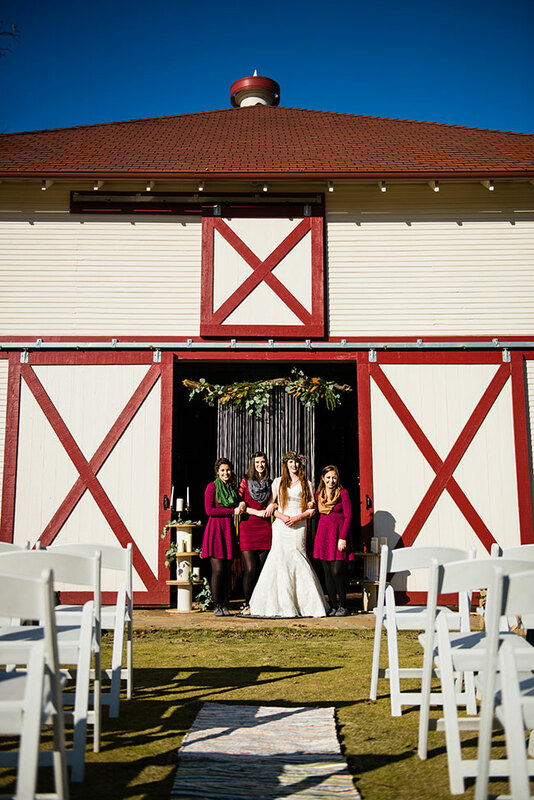 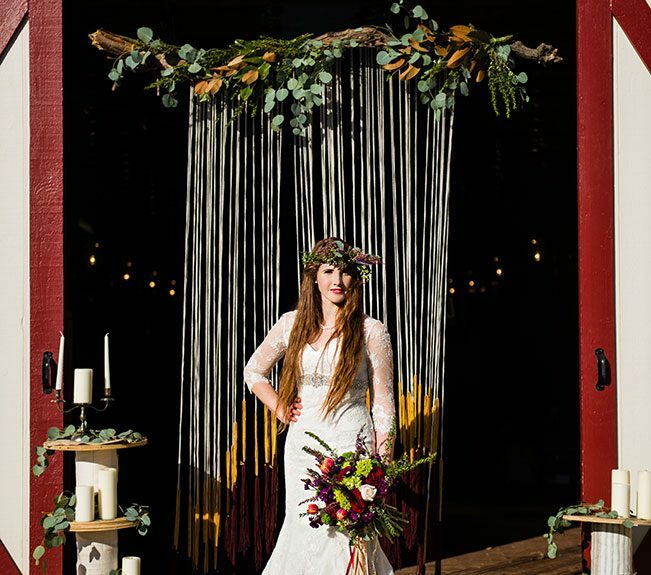 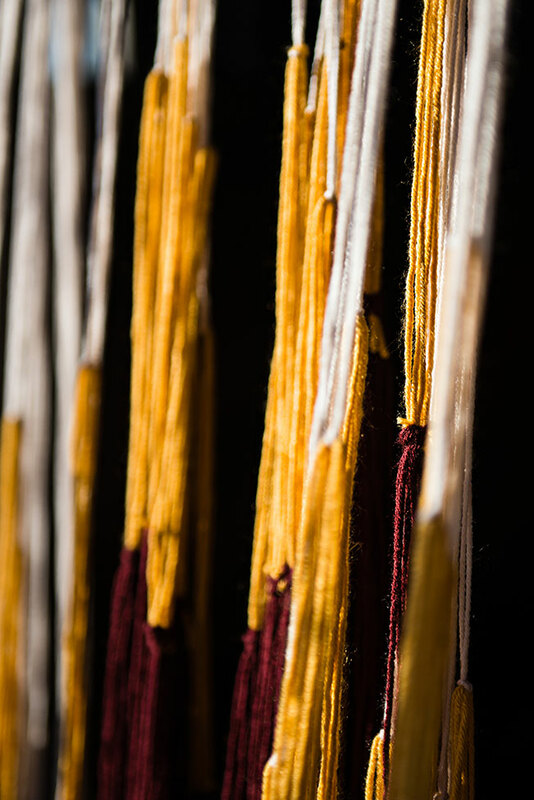 To tie in a rustic boho feel, the entrance to the barn become the ultimate ceremony backdrop, featuring a wide swept macrame like yarn installation accented by a rustic garland of green and blooms. 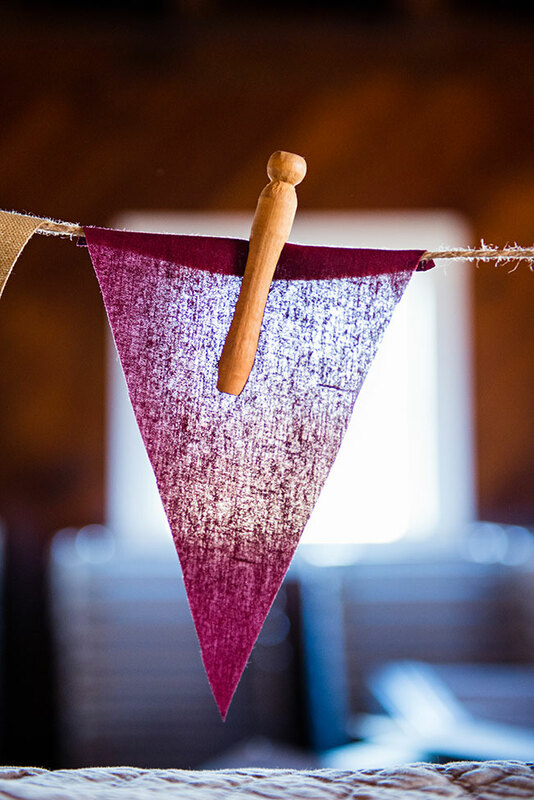 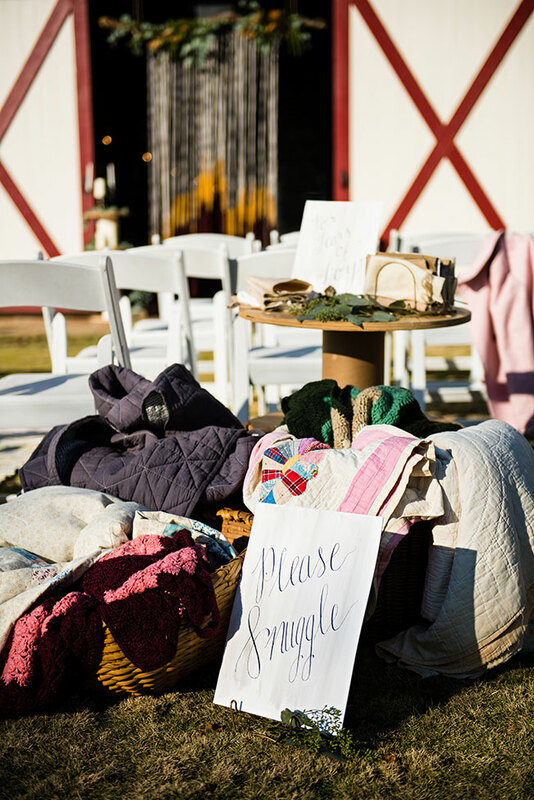 To inject an elevated casual feel, snuggle blankets and bunting brought the perfect down home feel, while bridesmaid donned everyday chic dresses. 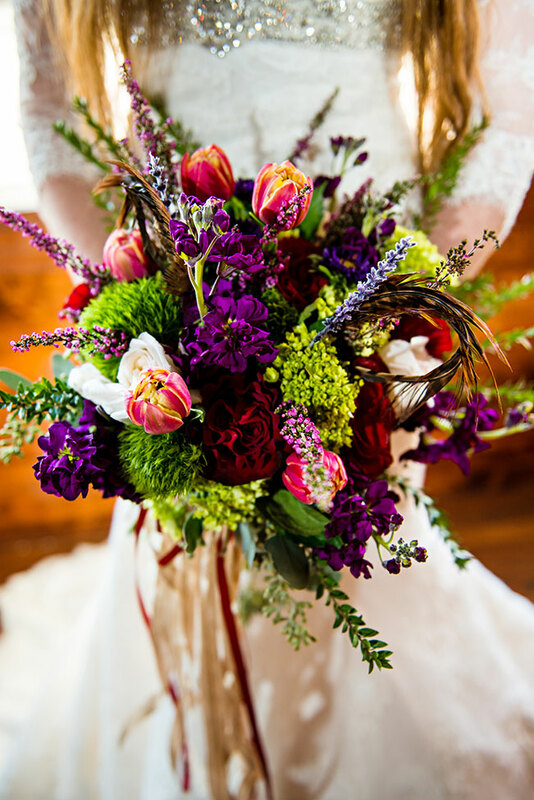 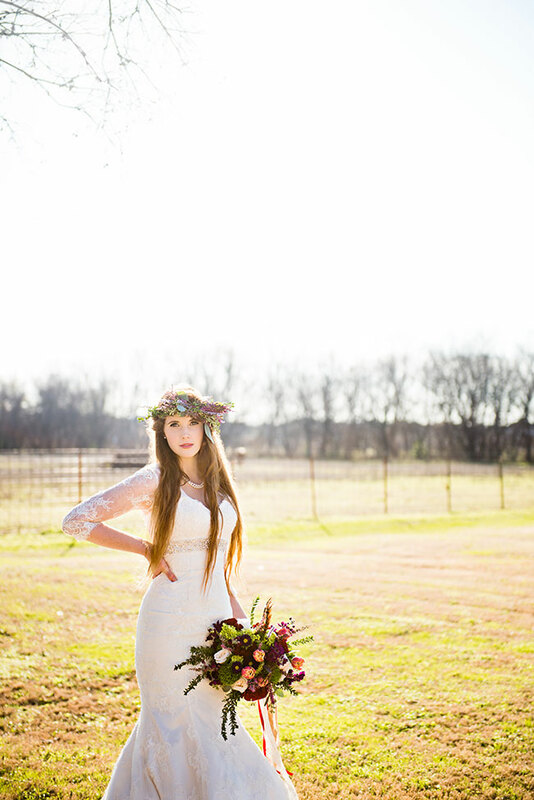 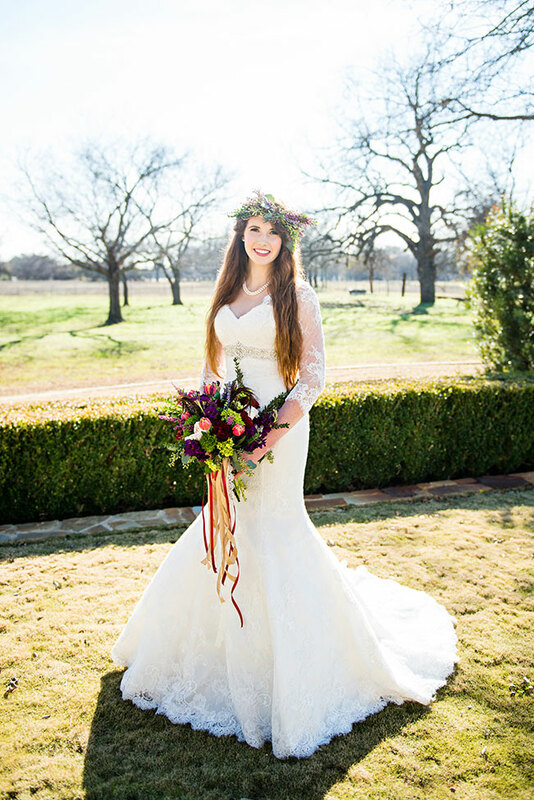 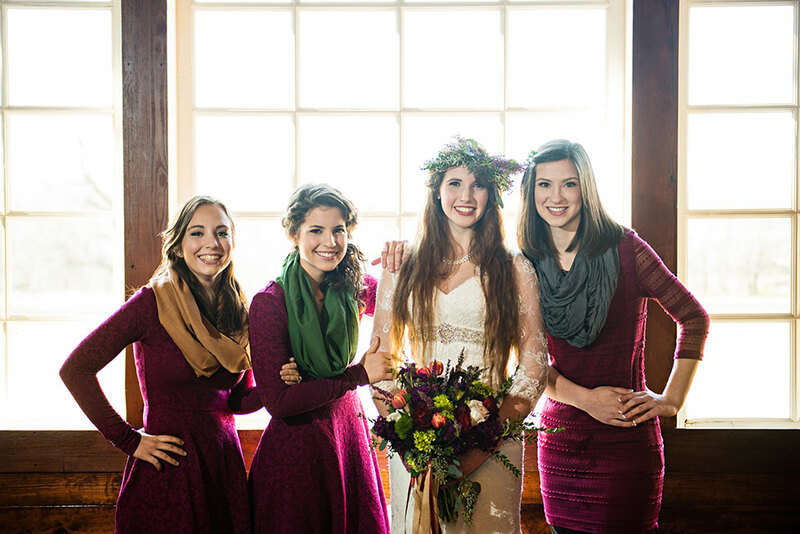 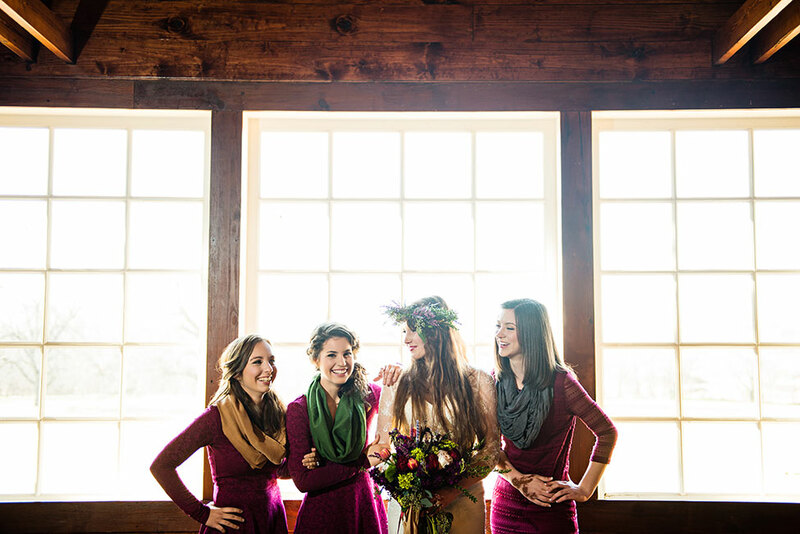 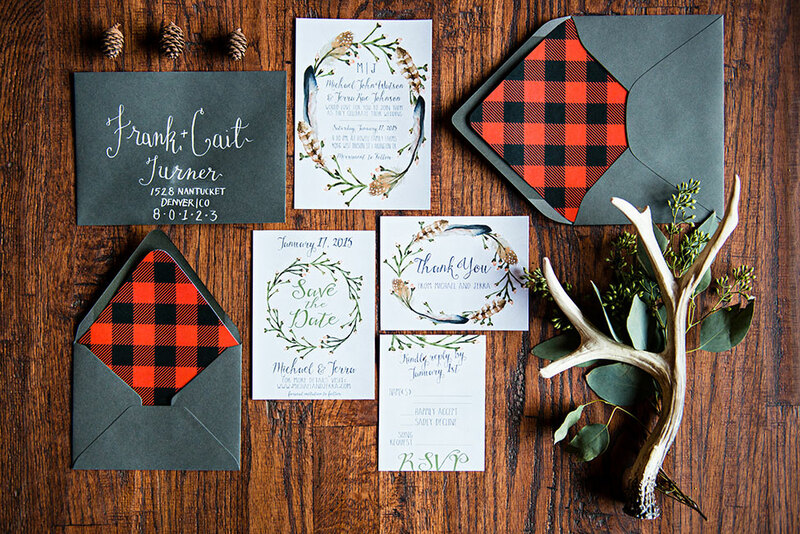 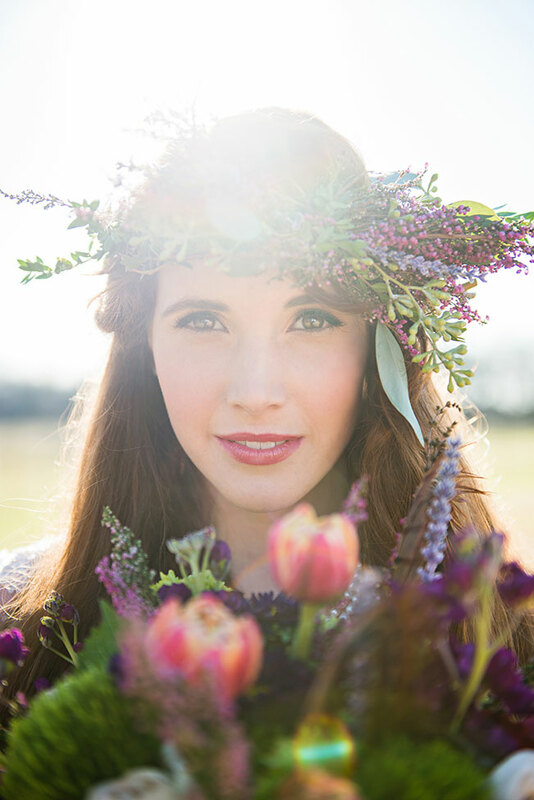 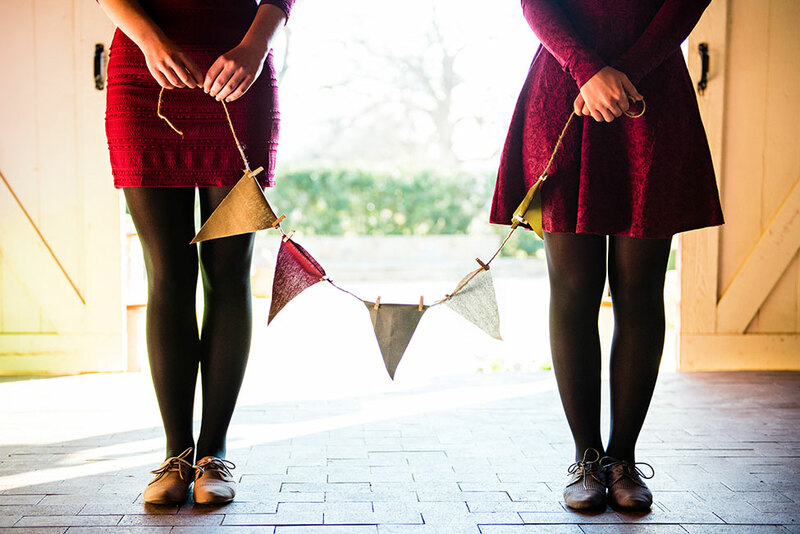 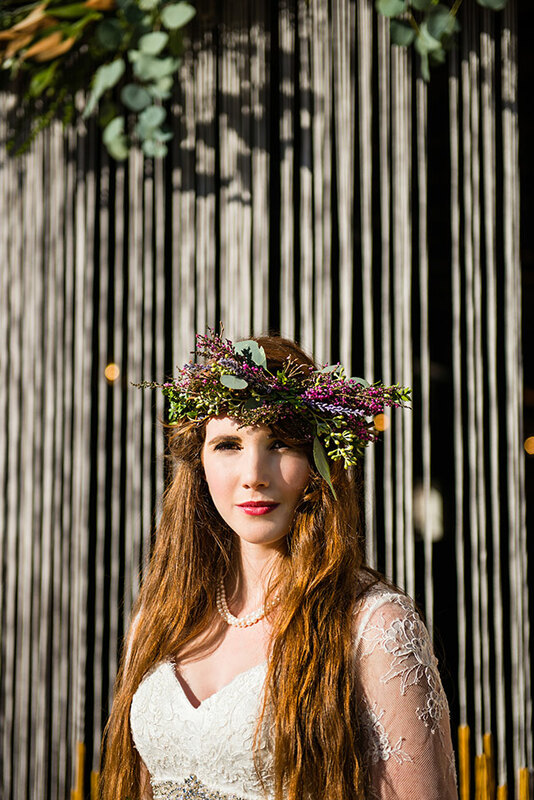 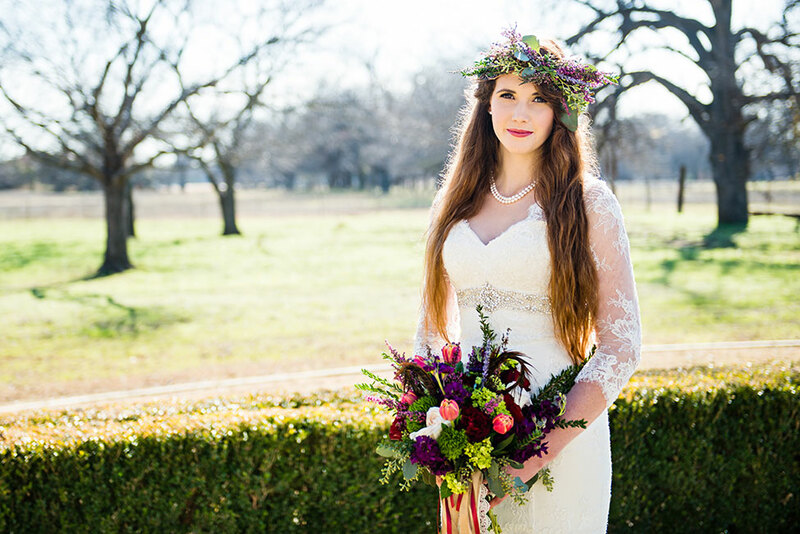 The overall beauty to this fall wedding is in the blend. 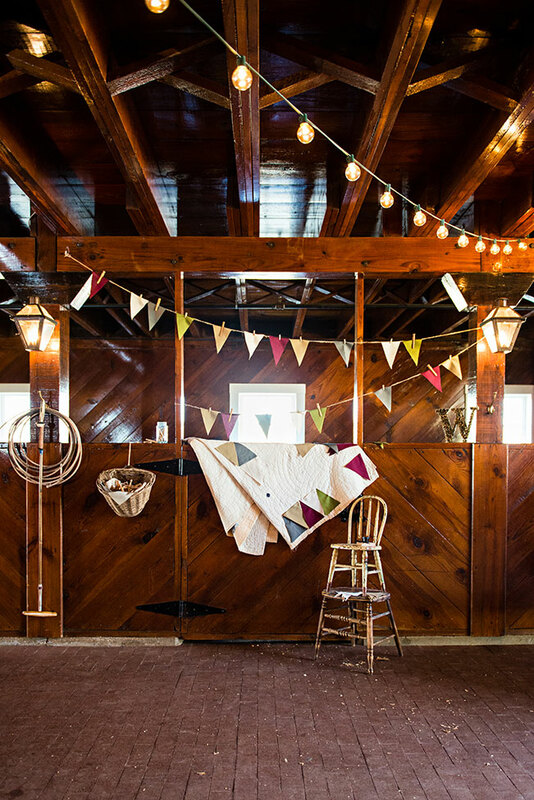 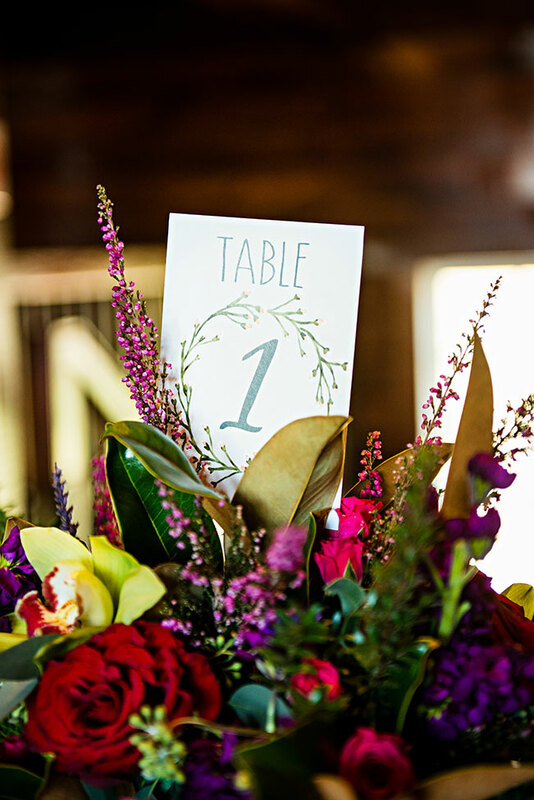 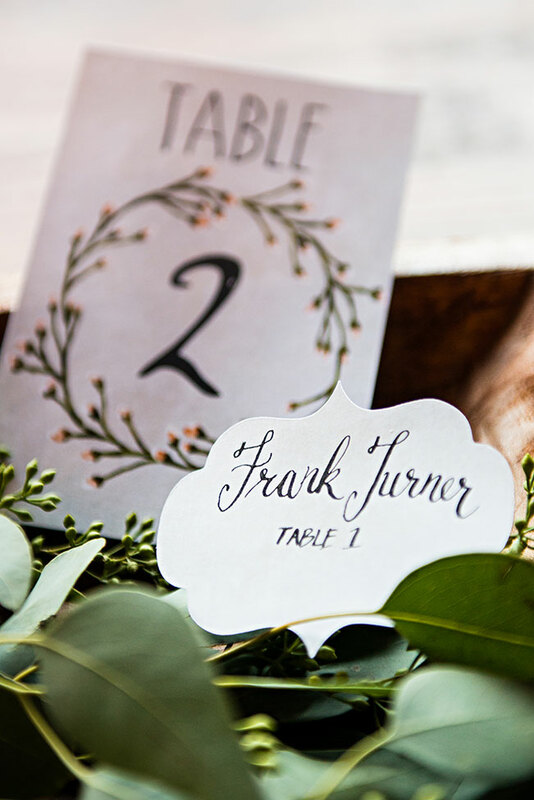 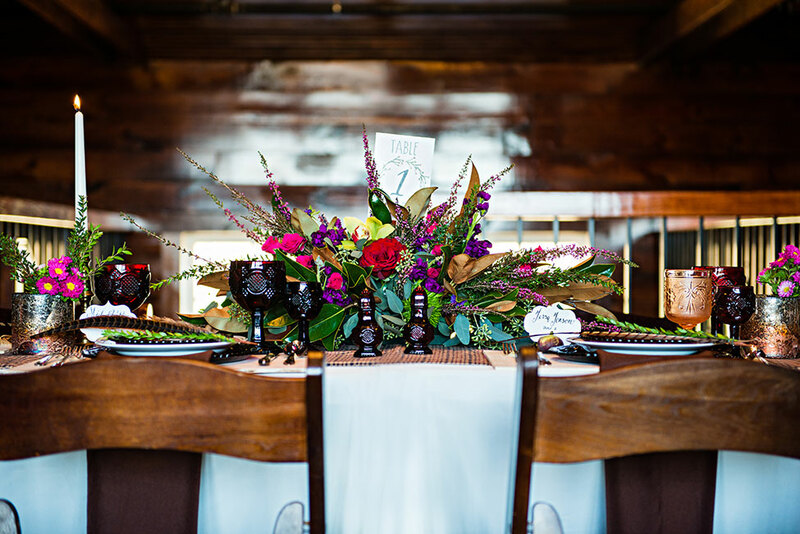 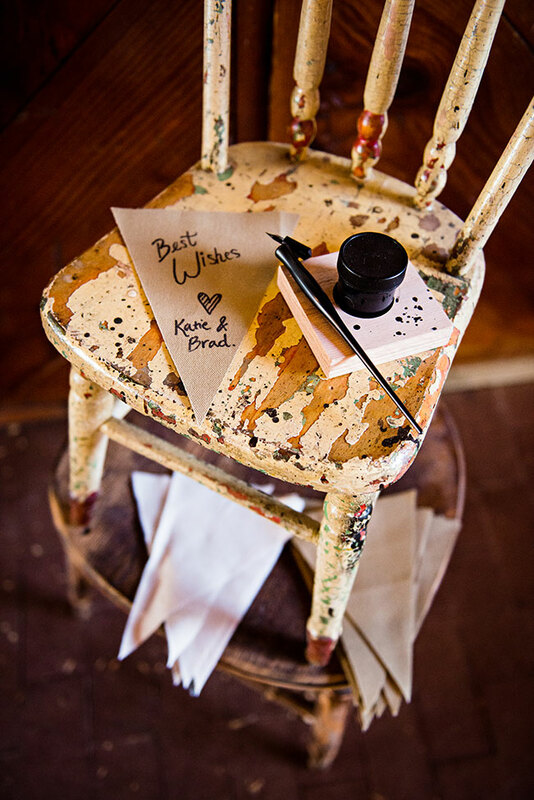 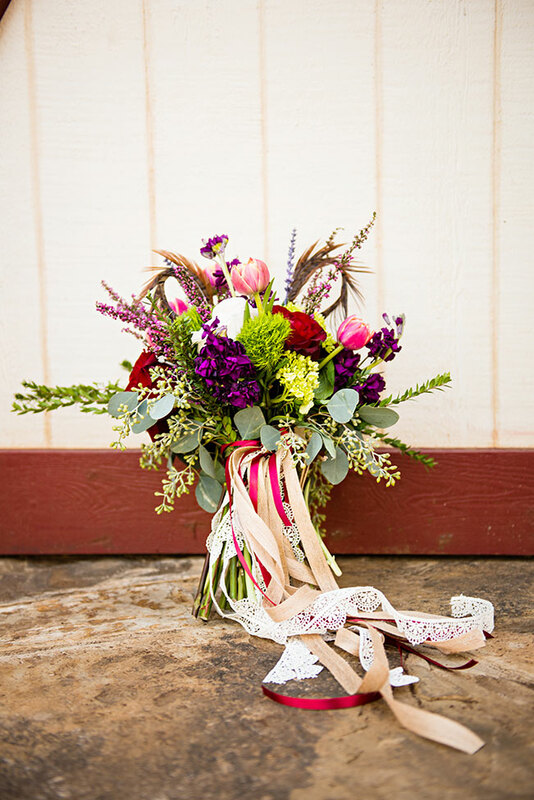 Upscale wedding details met with a casual heart in a down home locale!